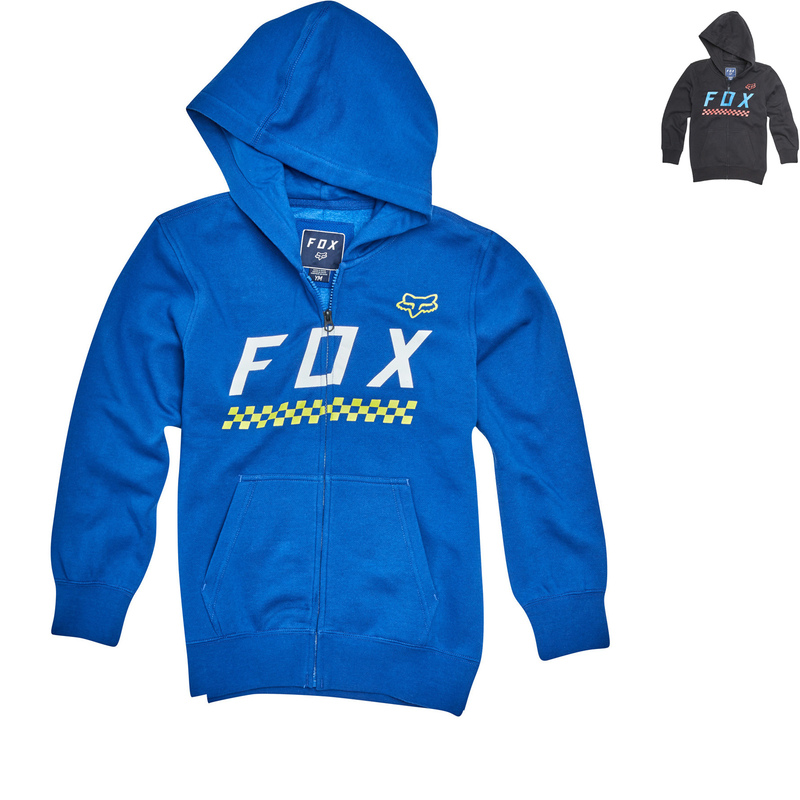 The Fox Racing Youth Full Mass Zip Fleece Hoodie is part of the latest Fox Racing collection. 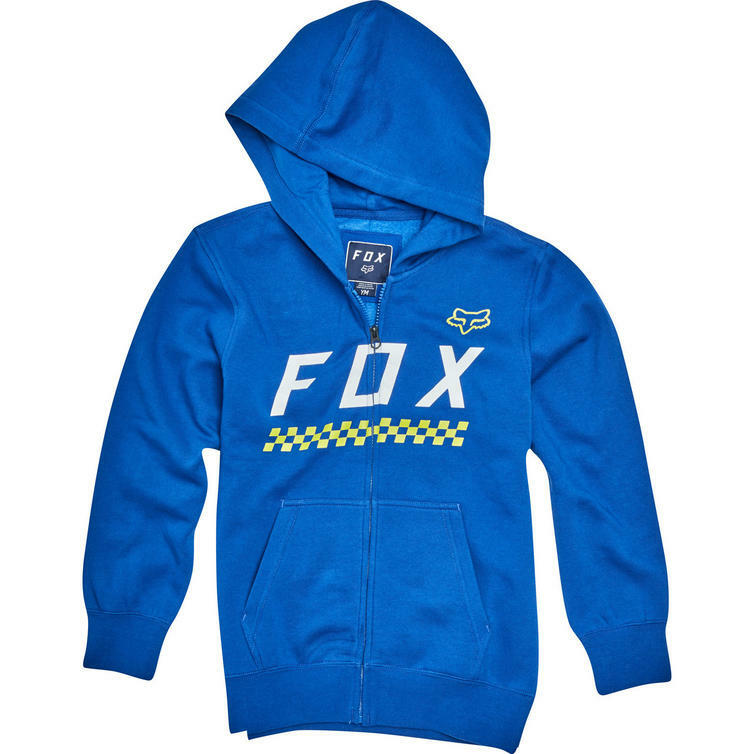 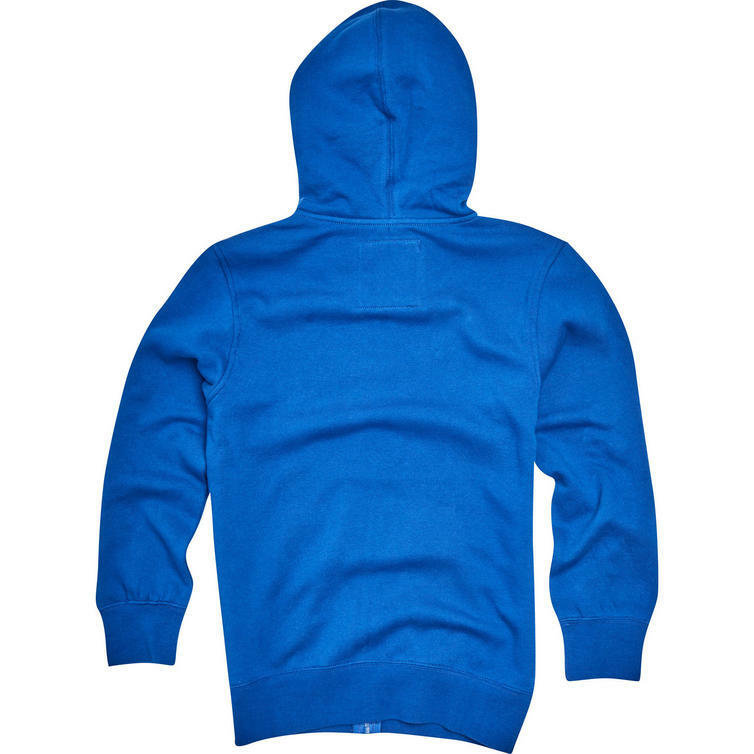 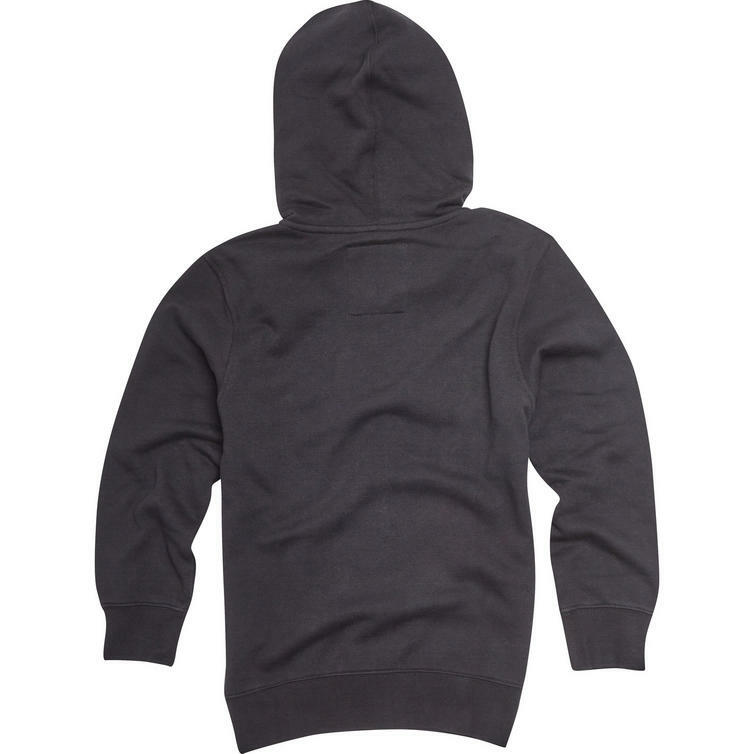 Fire up your fall with the warmth of the classically styled Fox Racing Youth Full Mass Zip Fleece Hoodie. 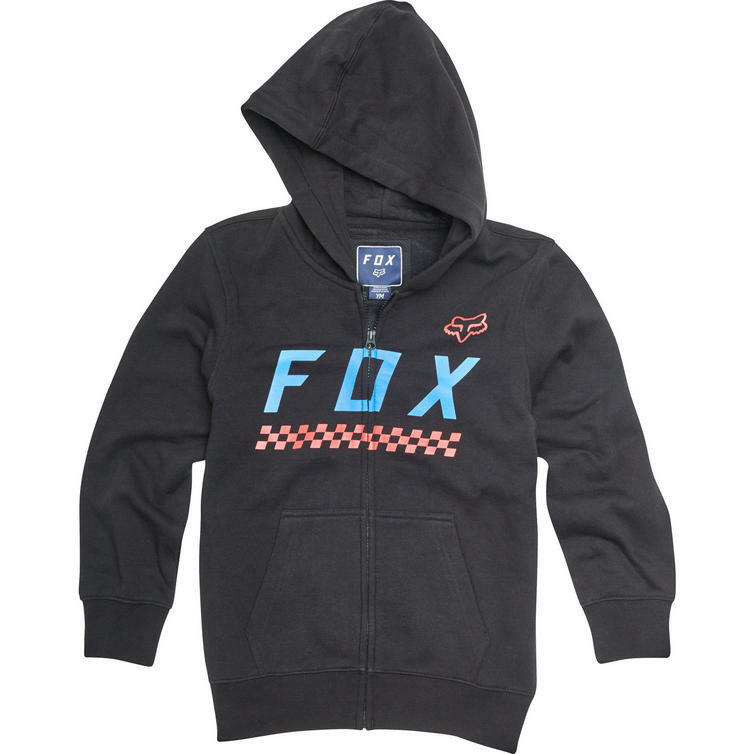 This cold weather staple features a heat-trapping fleece, a front kanga pocket to keep your digits toasty, and durable race-inspired graphics.